This week’s blog post will be brief, as Steve already blogged earlier in the week about Blockchain.info coming on board. This was the most exciting event, and such prominent support from a Bitcoin company can only be a good thing. Thank you again to Blockchain.info – I’m so happy to be working with you! Second only to that was passing the last two parts of my Yachtmaster Offshore Theory qualification. I’ve said before that I wanted to complete it before Christmas, so it’s really good to have done that, despite things being very busy at the moment. The last paper, which focused on meteorology, was particularly interesting, and I feel almost like a whole new language has been opened up to me. I’m really looking forward to carrying on the learning – just now without the pressure of an exam to pass I can focus on the areas that will be most useful for the row. 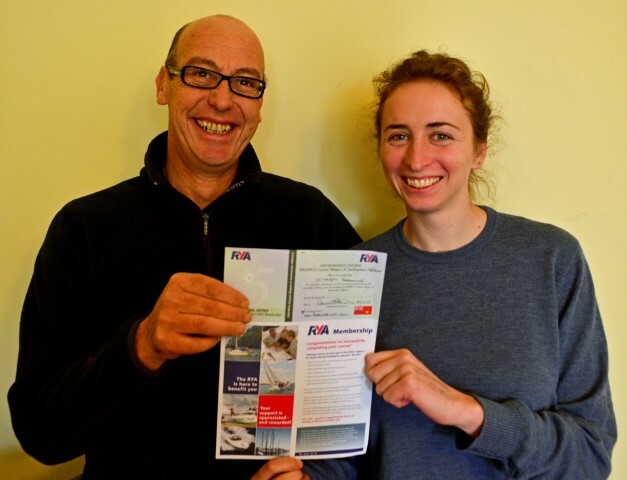 Getting my Yachtmaster certificate – looking tired from all the revision!